Most people would not consider rotator cuff exercises as part of a core workout, but rotator cuff strengthening is important for upper body stability. 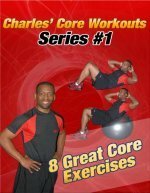 If you've read my page on core exercises and core training, then you understand that the core is more than simply the abdominal muscles and the lower back muscles. Your core is your entire trunk/ spine and also your hip girdle and shoulder girdle. Your hip is the connection between your spine and your lower body, and your shoulder girdle (scapula and clavicle) are the connection between your trunk and your upper body. Any muscle that attaches to the pelvis or scapula should be considered a core muscle because it significantly affects the stability of your legs and arms, respectively. Since the rotator cuff muscles all attach to the scapula they are important core muscles. Below are some rotator cuff exercises. This upper back exercise works the rotator cuff, the shoulders (deltoids), and the scapular stabilizers (rhomboids and middle trapezius). Starting Position: Lie on a ball with your feet anchored so they don't slide. The ball should be under your stomach so that you can keep your body in a straight line. Form: Exhale and raise your arms out to the side. Hold for a brief second at the top of the motion and then slowly return to the starting position. Personal Trainer Tips: This exercise should focus on range of motion and form first-- not the amount of weight that you're lifting. You should use a weight that allows you to raises your arms just beyond parallel with your body. To focus on the upper back, make sure your arms stay lifted and away from the sides of your body. Move in a slow and controlled manner and aim for 12-25 repetitions to build endurance in the stabilizers. External Rotation is one of the primary motions of the rotator cuff muscles, and this exercise really isolates a couple of the rotator cuff muscles. Starting Position: This exercise starts from the finishing position of the previous exercise. Begin by bring your arms up the side and keep your shoulders at 90 degrees. Form: While keeping your shoulders in the same position, rotate your shoulders so that your forearms are in line with your ears. Hold for a brief second at the top of the motion and then slowly lower to the starting position. Keep your arms elevated throughout the entire set. Perform 12-25 repetitions. 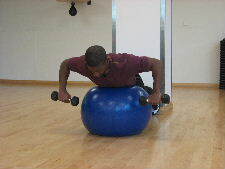 Personal Trainer Tips: This is one of the best rotator cuff exercises because it isolates the rotator cuff. Many people find that they have limited range of motion during this exercise because their shoulder is stiff and inflexible. Stretching the shoulders (chest and lats) prior to performing this exercise can improve range of motion and help you to get more out of this exercise. You may have to use 2-3 pounds dumbbells to perform this exercise with proper form. 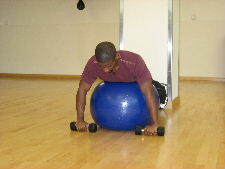 Don't worry about using a heavy weight, focus on moving through the entire range of motion with correct form. 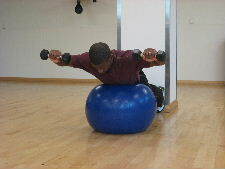 This is another great rotator cuff and scapular stability exercise. When our posture changes and our shoulders get stiff and inflexible, it becomes harder to keep the shoulder in the correct position when the arms are overhead. In addition to being a great shoulder exercise, this is also a great postural exercise. Starting Position: This exercise begins from the same position that the previous exercise finished. Start with your arms out to 90 degrees and your forearms in line with your ears. Form: Exhale and Press your arms straight over your head. Hold for a brief second and then return to the starting position. Perform 12-25 repetitions. Personal Trainer Tips: This exercise is deceptively hard. You will likely need 2-5 pound dumbbells in order to maintain good form throughout the set. When your rotator cuff and scapular stabilizers are weak, your arms will tend to fall towards the ground as you press overhead. When you press over head, do your best to keep your arms in line with your ears. 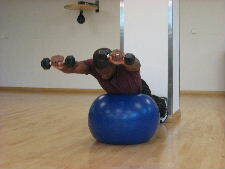 Each of the above exercises can be done individually to strengthen the rotator cuff or you can do then in combination. When you combine the exercises you start by doing a row with your arms at 90 degrees. Then, from that position rotate your shoulder so your arms are in line with your ears. Then, from that position press your arms straight over your head. Lastly, return to the starting position. Rotator Cuff Exercises are important for recreational gym-goers and athletes. The rotator cuff muscles can be considered core muscles because they affect the stability of the entire arm. Functional Training and Integrated Training focuses on getting your body prepared for any physical activity and rotator cuff strengthening is important for supporting good shoulder posture, preventing shoulder injuries, and improving sports performance that involves the shoulders or arms. If you are into core training and core workouts, start including rotator cuff exercises in your workout routine.